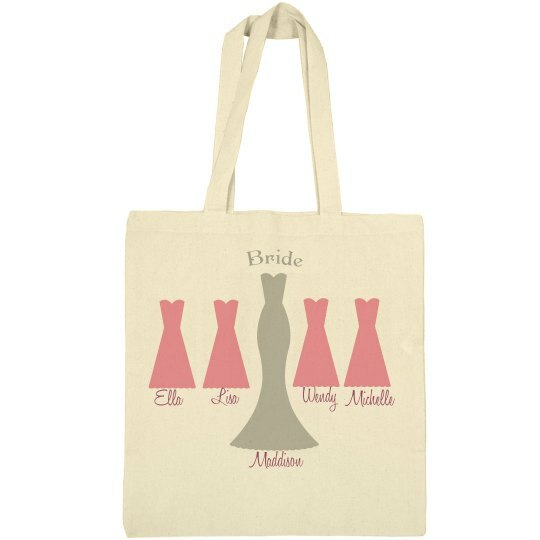 Customize an adorable tote bag for the bride and all the girls in the bridal party! This is a great bridal favor that everyone is sure to love. Personalize them with their names and titles!